Mitsubishi Motors Corp. today said its fiscal first-quarter net income fell 15 percent to 23.99 billion yen, or $195.56 million, brought down by widening losses in Japan, poor performance in Europe and a drop in global factory unit sales. Revenues in the quarter ended June 30 dropped 2.6 percent to $4.08 billion. Although Mitsubishi’s global retail sales rose 1.6 percent to 262,000 units, its wholesale, or factory, sales fell 7.6 percent to 291,000. In April, Mitsubishi said it booked its first full fiscal-year North America operating profit in seven years, for the year ended March 31. That rebound continued in the first quarter. The automaker’s North America region posted an operating profit of $26.9 million, swinging from a loss of $17.9 million a year earlier. 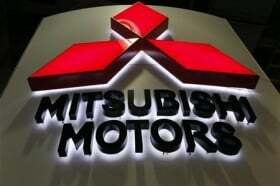 But Mitsubishi’s operating loss in its core market of Japan widened to $59.5 million in the latest quarter from $17.1 million a year earlier. Operating income in Europe tumbled 94 percent to $5.7 million. Mitsubishi kept its forecast for the full fiscal year that began April 1 unchanged, predicting net income will fall 15 percent to $814.9 million while revenues rise 4.6 percent to $18.6 billion.